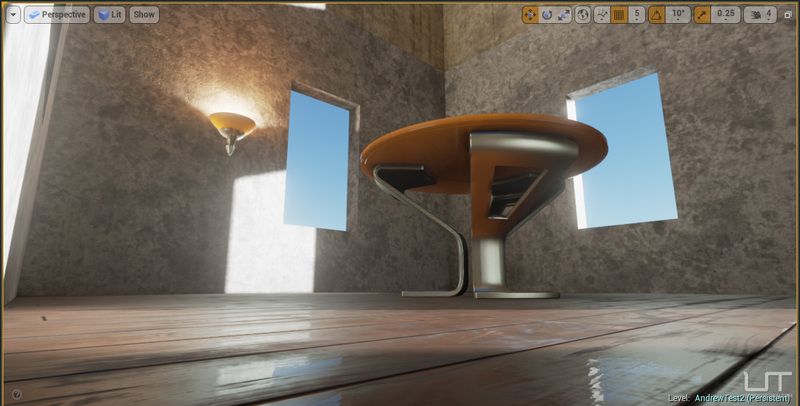 Been super busy but also finding a bit of time to experiment with Unreal Engine 4. 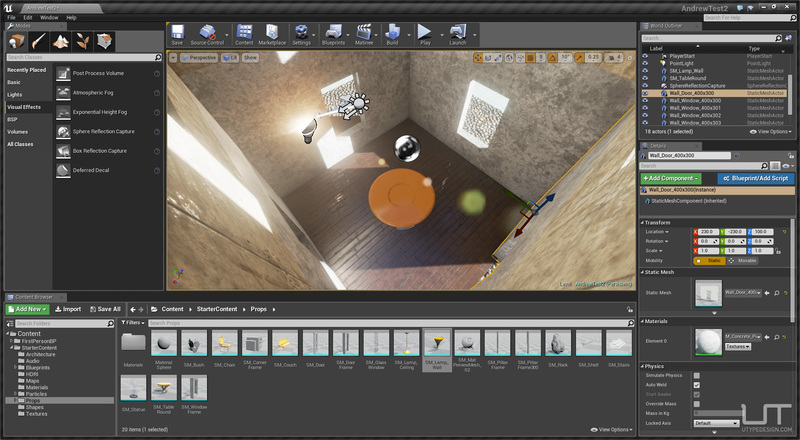 I must say although I used to always believe CryEngine had the upper hand in technological advancement, I find Unreal Engine 4 to be much more solid and user friendly, while being smart on where to take the right shortcuts (such as built lighting, which they’ve always done). I’ve used UnrealEngine 1 and 2 back in the days of Unreal Tournament Classic, 2003, and 2004 and really enjoyed making maps. Now intend to really learn this engine and remake some of my projects in this. Two of the best features of UE4 is how easy it is to get my own content into the engine, and the support, documentation and user community surrounding it. 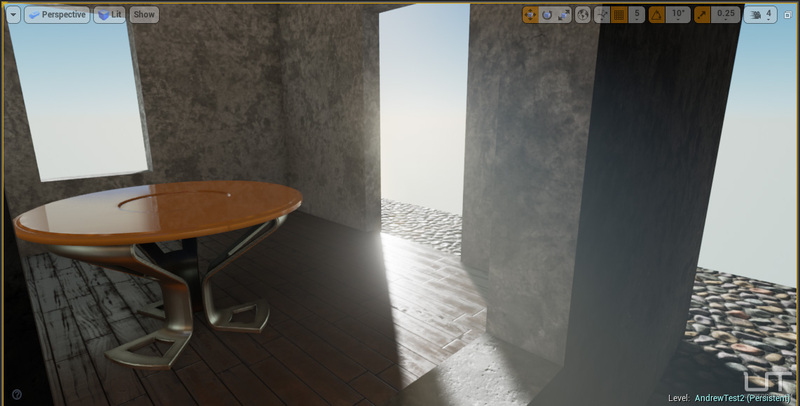 The lighting system is very amazing, and the physically based rendering and materials system is getting very convincing. Game engines and real-time rendering is the future. I can’t wait till probably 5 years from now when real-time gets to V-Ray level and VR gets 4-8k screens running at 60fps. I think when we reach that level people are never going to take off their VR goggles.